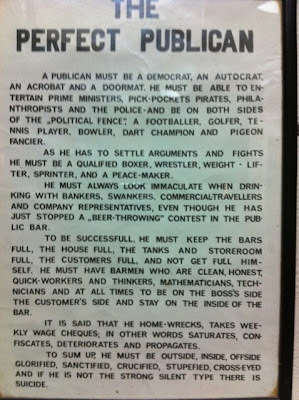 Does this describe any publicans you know? I noticed it leaving The Vault bar in Cork last weekend. I was quite drunk but had enough sense to take a picture on my Iphone after reading it. They had Hoegaarden but apart from that it is just the usual crap. 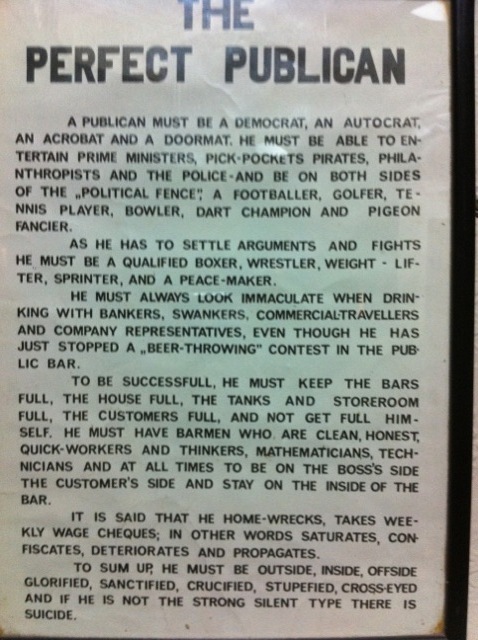 The Tale Of The Ale: The perfect publican?